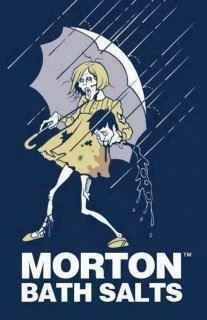 Obama signed a federal law on Monday, July 9, [2012,] banning the sale of synthetic bath salts, synthetic marijuana and nearly two dozen other man-made drugs. [Sen. Susan] Collins and fellow Republican Sen. Olympia Snowe co-sponsored the Combating Dangerous Synthetic Stimulants Act, a bill proposed by U.S. Sen. Charles Schumer, D-New York. Law enforcement agents also seized $36 million in cash and 19 million packets of synthetic drugs, including bath salts (a powder hallucinogen) and spice (also known as fake marijuana), the agency said. 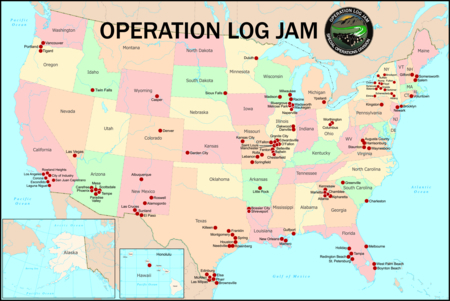 The DEA collaborated with Immigration and Customs Enforcement and several other federal, state, and local law enforcement agencies in a project called Operation Log Jam. 1 Nok-Noi Ricker, “President signs federal synthetic bath salts ban,” Bangor Daily News Online, 14 July 2012, at http://bangordailynews.com/2012/07/14/politics/president-signs-federal-synthetic-bath-salts-ban/ (retrieved: 15 July 2012). 2 Sydney Lupkin, “DEA Makes 90 Arrests in War on Synthetic Drugs,” 26 July 2012, ABC News, at http://abcnews.go.com/blogs/health/2012/07/26/dea-makes-90-arrests-in-war-on-synthetic-drugs/ (retrieved: 30 July 2012). Skippy Massey, “Nationwide Synthetic Drug Takedown,” 28 July 2012, HumboldtSentinel.com, at http://humboldtsentinel.com/2012/07/28/nationwide-synthetic-drug-takedown/ (retrieved: 30 July 2012). 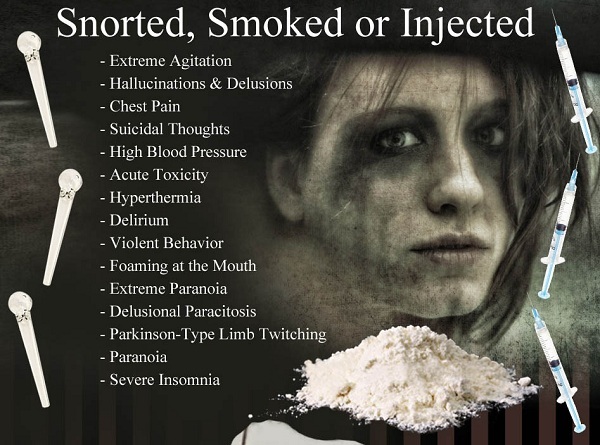 Steve Elliott ~alapoet~, “Bath Salts = Bad Idea [Infographic],” TokeOfTheTown.com, 7 June 2012, at http://www.tokeofthetown.com/2012/06/bath_salts_bad_idea_infographic.php (retrieved: 15 July 2012).